In its 9th year the 2018 CLWF had a relaxed and welcoming feel. With the waters of Camlough Lake a balmy 17c both young and young at heart enjoyed what was on offer. 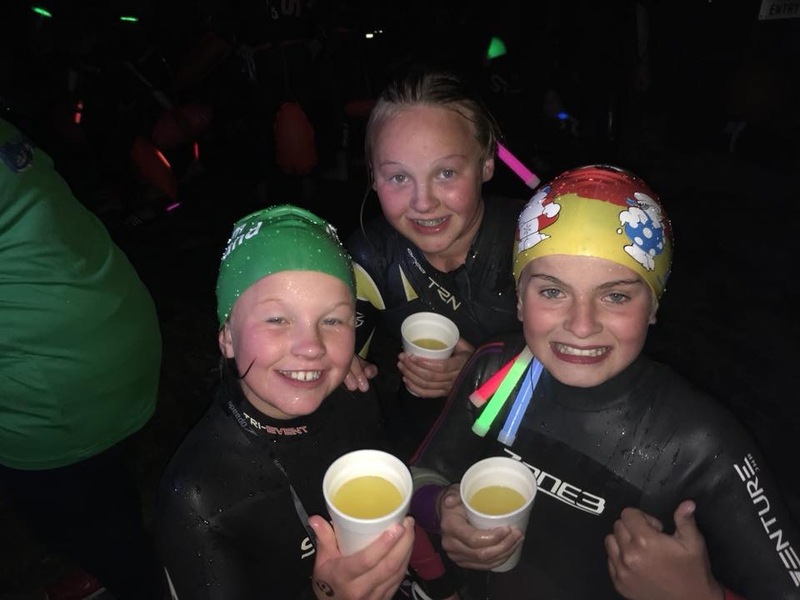 As customary that the GLOW night swim was on a beautifully calm evening with a star filled sky and only the glowing lights to guide the way around the 750M CLWF course. Saturday the grounded espresso bars team arrived armed with hot chocolate, coffee and sweet treats for the crowds of waiting early morning swimmers. Just before high noon the weeGIANTS took to the water for there 250m, 500m and 750m courses. The grey clouds came with the rain but the onshore winds only added speed to the strokes and progress of the many who came for the Joe McElhaw Lord and Lady of the Lake. The boys had arrived on Friday having had their first night scamping and the whistle blew for the opening games of the 2018 open water waterpolo championships with North Dublin game on adamant that they would hold their title as champions for another year. The CLWF CREW and many participants enjoyed a BBQ and craic ages ceol in the local pubs and returants in the village of Camlough to close the second day of events. Sunday gave a serene and calm start to life at the lake and another successful jaunt for many out to the grounded coffee dock. The adrenalin, happiness and fun element abounded with the junior TRY-A-TRI and over 80 children taking part. Mums, Dads, Grandparents, friends, sisters and brothers all making the start of an amazing journey possible. 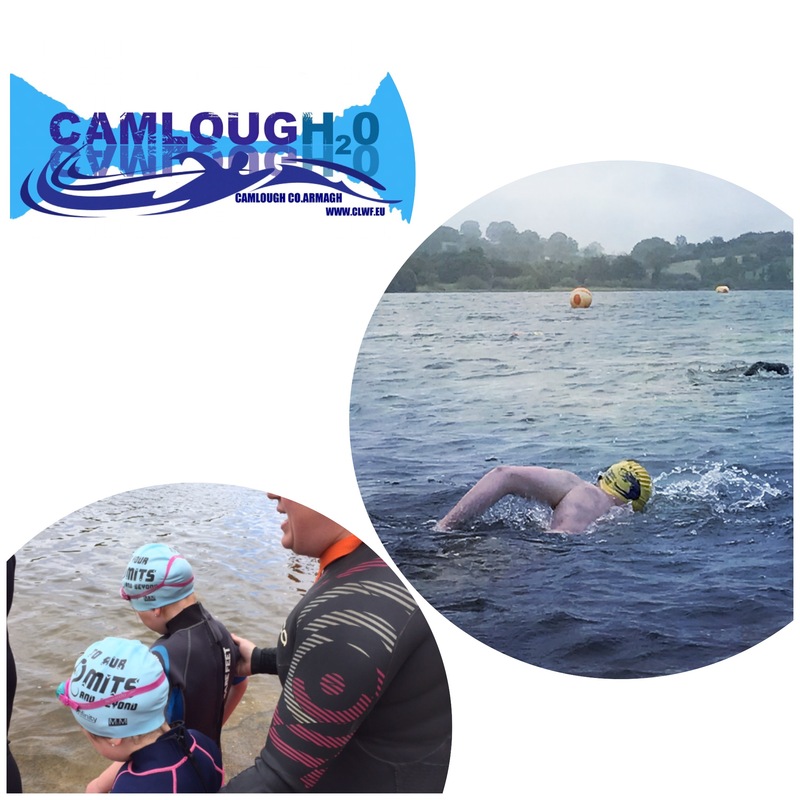 Local people and friends from Newry Triathlon club came to marshall giving a safe race course for this as young as 5 to participate in the 250m Swim the 3K bike and the 1.5K run. Big for a small person. Result for North Dublin as they lift the cup for another year as KINGS OF CAMLOUGH for the seventh time lucky. The 5K and 10K Ulster championships named after treasured of Camlough Lake Maria Murphy and Michael O’Hare were well attended with Rachel Lee taking a course record for the 10K and Lauren Archer and Victoria Wylie showing that the future is bright with their speed and poise in the wetsuits ladies senior and junior categories. Caroline McFarland taking the Ulster Championship title with North channel finisher Chris Judge and north channel bound Steven Grimley also on the podium. A huge thank you to our event partners, water safety teams, volunteers and to NMDDC for another successful year. 2019 will be 10 years as Guinness world record holders more fun in, on and around the water.